Easter is one of my favorite holidays. For me, it’s not about chocolate bunnies or egg hunts or even church, but about family. It’s the one time of year you can count on me making Greek food: the food my mother taught me how to cook, and that I’ve taught in turn to my daughter; the avgolemno soup I ate at Grandma Lee’s house after the midnight church service; koulourakia (Greek Easter cookies) made the way my dad makes them; stuffed grape leaves that I always cook in a cast iron pot handed down to me by Grandma Bond; and so many more happy food memories, all served up on family china and eaten surrounded by family and friends. A tray full of carefully wrapped dolmades, with avgolemno sauce served on the side. This Easter was all of that and more. Not only did my daughter and her boyfriend drive up from Portland, but for the first time, my dad was able to fly up and join us. Plus it was the opening weekend of My Big Fat Greek Wedding 2, which is a pretty irresistible combination! 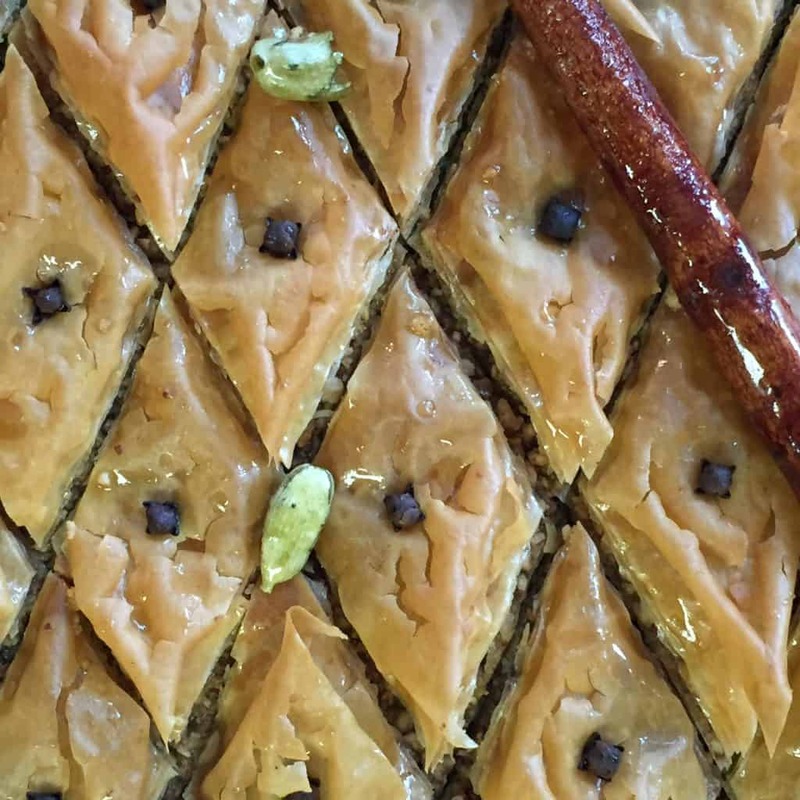 Baklava with pistachios, cardamom, and rosewater. 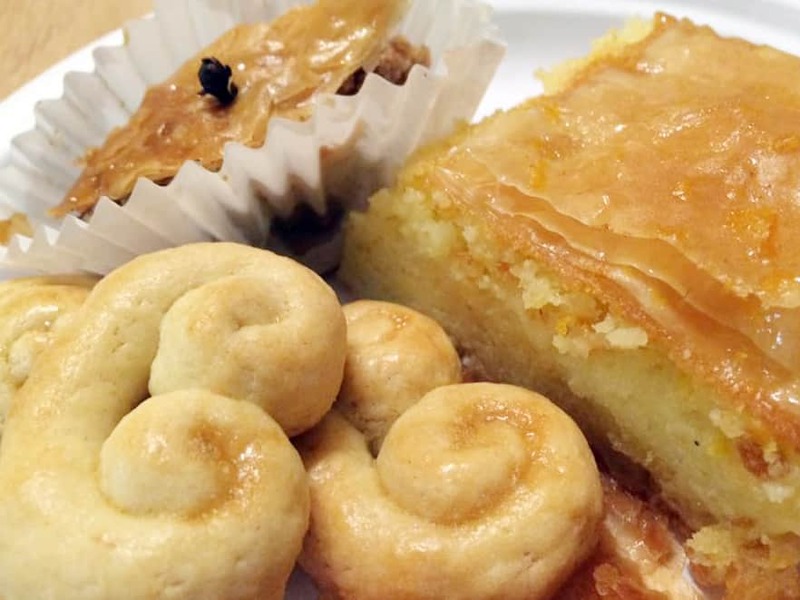 I started baking on Thursday, with baklava and koulourakia. Friday, dad made rizogolo (rice pudding), while I prepared fillings for as many things as I could and assembled the moussaka and pastitso. The movie was Friday evening. Afterwards I was so wound up, I went ahead and baked the tiropita and spanikopita then, instead of waiting until the morning. Bonus – we all had a midnight snack. Yum! The rest was prepared around our local caucus and some family time on Saturday, including a couple surprise dishes – hey, more people were coming! Pastitso (pasta) and Moussaka (eggplant) in the making. 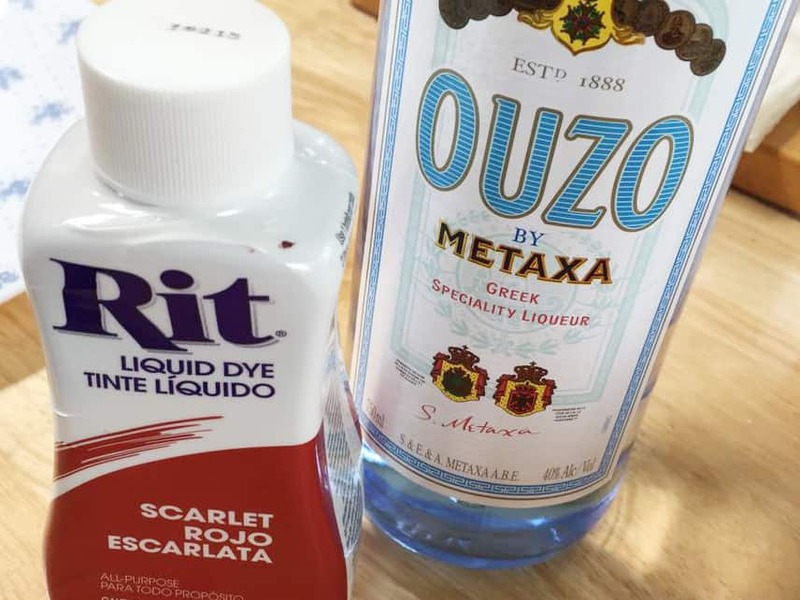 On Saturday morning, my daughter ran out to get a couple last minute items we couldn’t do without – Scarlet Rit Dye – liquid, not powder, and ouzo. She had requested red eggs for Easter, and I really couldn’t say no. They’re one of my childhood memories, but I’ve never actually made them myself, and she wanted to experience it. In my family, we’ve always cooked the eggs in Rit, because of course, you have to have the reddest eggs possible. 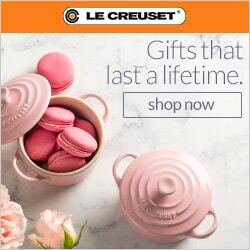 Between eating the eggs and the bread they are traditionally baked in, I don’t even want to think about how much dye I must have eaten as a kid! Don’t worry, this year all we planned to do with the eggs was crack them against someone else’s, another Greek Easter tradition. Did someone say Greek Easter? Every year, I try and trim the menu, but everyone has a favorite they just can’t live without. We have to have avgolemno, because that’s one of my favorite memories. 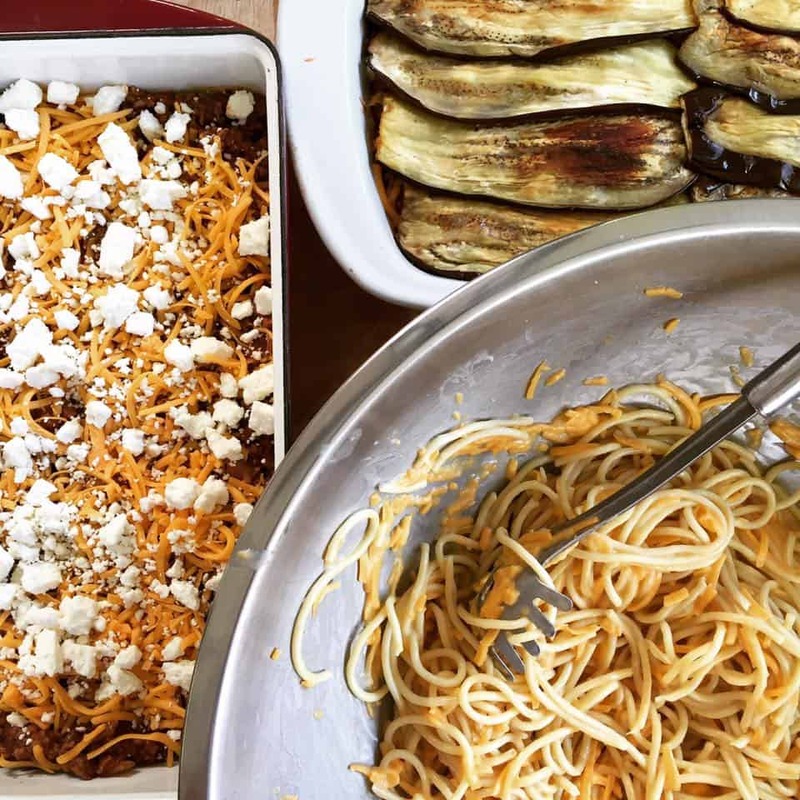 Some people like pastitso more than moussaka, or galetoboureko more than baklava, or vice versa, so we have to have both. 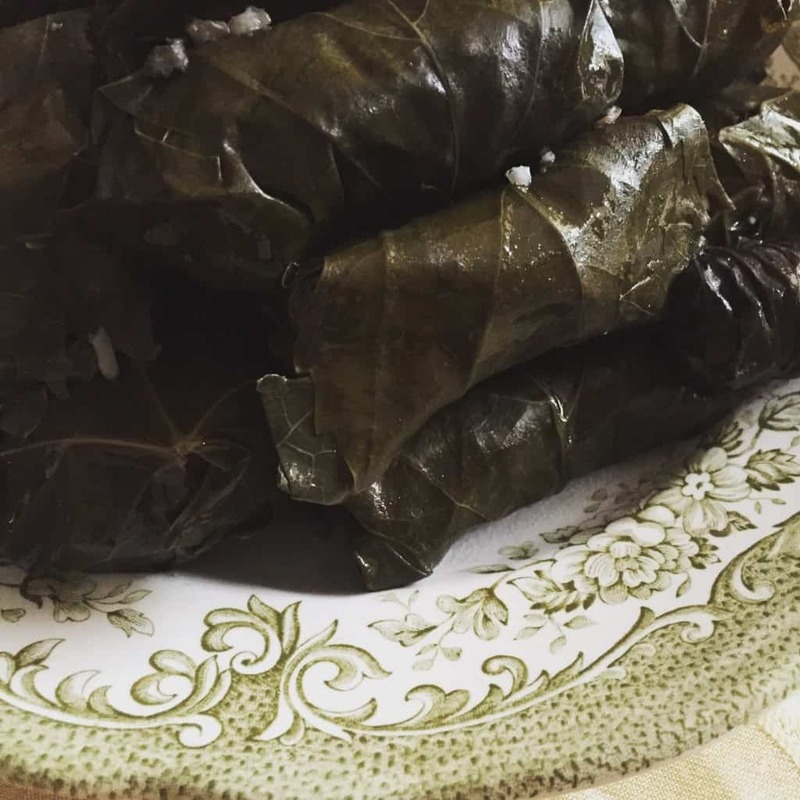 If it’s a real favorite, like dolmades and pastitso, we need vegetarian and allergen-free versions so everyone can enjoy them. 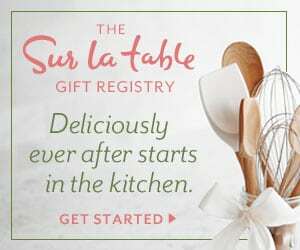 We can’t skip lamb, and we really should squeeze in a vegetable or two, and suddenly we’re right back where we started. Here is the full menu in all its glory. I know, I know… so much food! Some things didn’t last through the night, like the tiropita and rice pudding. A few more, like the galetoboureko, koulourakia, and spanikopita, were gone the next day. I ended up putting 4 pieces each of the moussaka and pastitso in the freezer, along with about 2 dozen dolmades. The avgolemno soup was breakfast for a couple days, and the final 3 pieces of baklava were sent to work with my partner. So really, maybe my idea of a Greek Easter feast wasn’t so much food after all. A tantalizing close up of the desserts before they were all gone. Sunday we all got to relax, drink Greek coffee, eat pastries, and visit with family and friends. 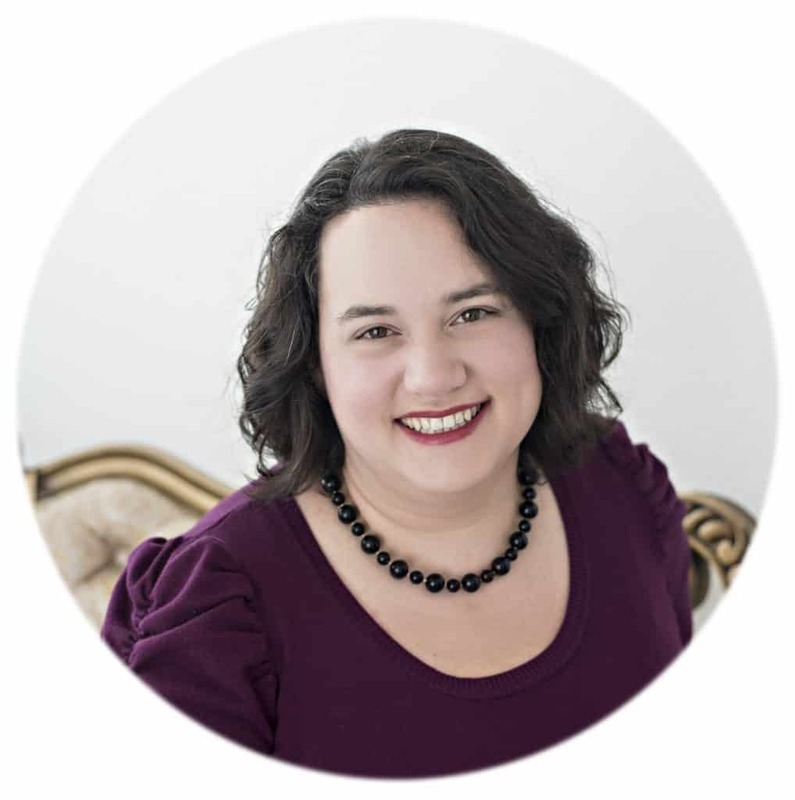 Before I knew it, it was Monday and the kids and dad were headed home. Even though it flew by, it was one of the best holidays I’ve ever had, surrounded by good food and the people I love – a feast for the body and the soul.